The only things we enjoyed were the location and the doormans always free to help us. Apartment is lokated in one of main stret in centrum of city. It is nice because it is close to sea and to the shops and partys (if some one like this) It was minus for us because there was noisy during a night. The bed sheets where very old Bed covers olded and dirty. The position/location is great! Less than 2 minutes walking to beach. Perfect location. It's nice to have an air con. Great space with a pretty balcony. It does suits to any group of friends coming to enjoy this crazy city. Really good location. Apartment is from the beach about 30 seconds. 10 second to disco. 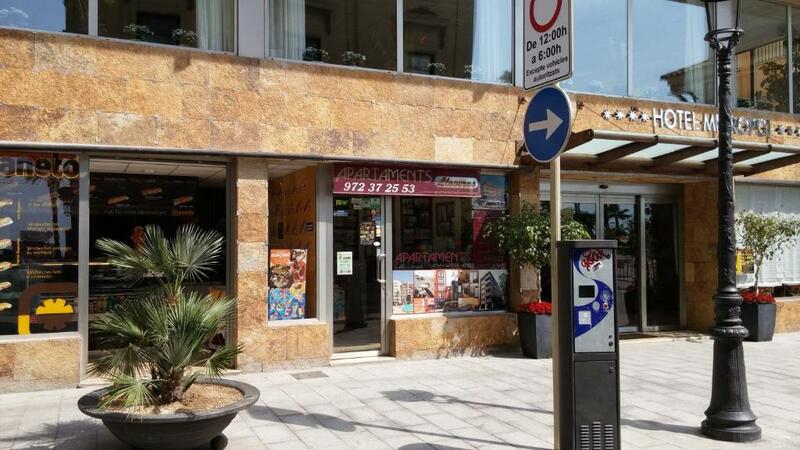 You can see the entrance from balcony :-) Lot of pubs, fast foods, supermarkets. Cheap food, young peoples everywhere. Wery close to everywhere. The best localization ever. 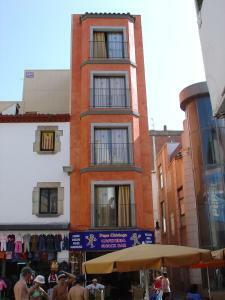 One of our top picks in Lloret de Mar.Apartaments Lloveras offers accommodations in Lloret de Mar. It offers a range of apartments within 1,650 feet of the beach. All of the apartments are practical and have a living room with a sofa bed and a safe. There is a private bathroom with a bath and shower. All have kitchens equipped with a fridge. Most have separate bedrooms and living rooms. 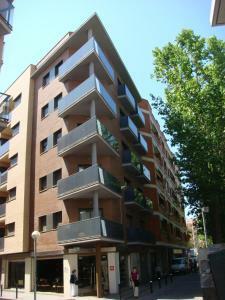 All of the apartments are within walking distance of public transport and shops. Lloret has plenty of restaurants, bars and entertainment. Girona Airport is about 40 minutes' drive away. When would you like to stay at Apartaments Lloveras? Featuring a balcony with sea views, this apartment has a double bedroom, a living room and a kitchen. These apartments are just 110 yards from the beach. They have private bathroom with bathtub, a combined living room/bedroom and a separate bedroom. These apartments are located at the heart of the tourist center of Lloret de Mar just 110 yards from the beach. Public transport can be found about 220 yards away. These apartments have a combined living room/bedroom, a separate bedroom and a kitchenette. They are suitable for 4 people. The beach is about 984 feet away. Public transport can be found close by. This apartment has one double bedroom and a lounge-bedroom. There is one bathroom, a kitchen and a terrace. It is located in central Lloret de Mar, just 330 yards from the beach. This apartment has 2 double bedrooms and a lounge-bedroom. There is one bathroom, a kitchen and a terrace. It is located in central Lloret de Mar, just 330 yards from the beach. This apartment features a balcony with views over Plaza de España Square. It comes with a living room with a double sofa bed and a well-equipped kitchen. This studio has a balcony and seating area. It is located 1640 feet from the beach. 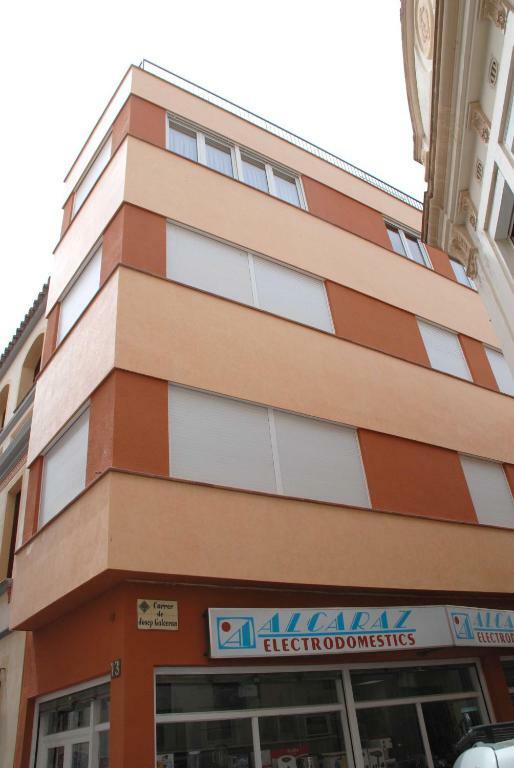 This charming house is located in the city center, just 164 feet from the beach. It is surrounded by restaurants, and a short walk will take you to supermarkets and souvenir gift shops. The house includes 2 terraces, 4 bedrooms, 2 bathrooms, and 1 separate toilet. This apartment has air conditioning, kitchenware and oven. 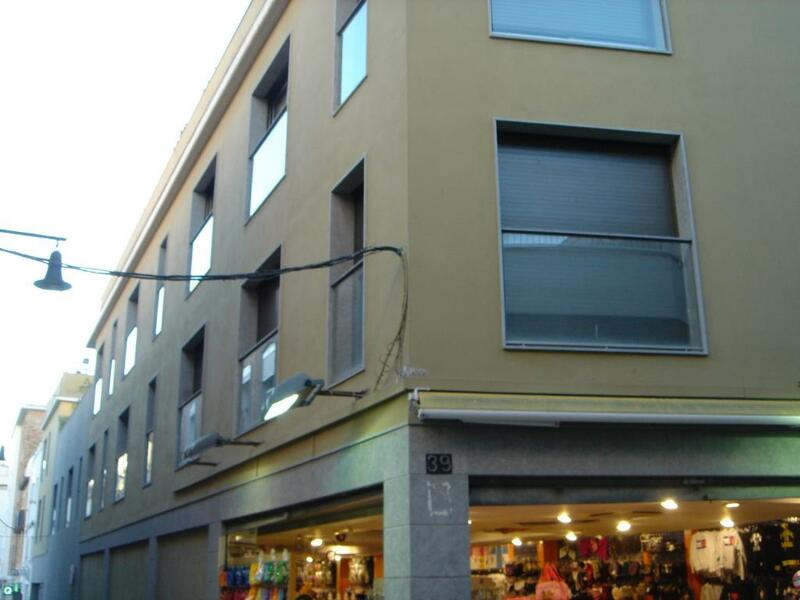 Set in the heart of Lloret de Mar, 1312 feet from the beach, this apartment comes with 3 bedrooms and 2 bathrooms. Located 1640 feet from the beach, just across from the bus station, this apartment features a sofa, kitchenware and a washing machine. This apartment features a seating area, air conditioning and kitchenware. House Rules Apartaments Lloveras takes special requests – add in the next step! Apartaments Lloveras accepts these cards and reserves the right to temporarily hold an amount prior to arrival. 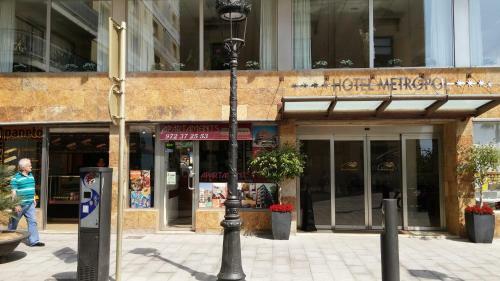 Please note that keys must be collected from 16:00 to 20:00 at Apartaments Lloveras, Plaza de la Torre 2, Lloret de Mar. If you expect to arrive after 20:00, please let Apartaments Lloveras know in advance. You can use the Special Requests box when booking or contact the property. Please note that towels and bed linen are not included in the room rate, and are available on request at an extra cost of EUR 4 per person. Please note that check-in and key collection take place at: Plaça de la Torre nº2, Lloret de Mar 17310. Please inform Apartaments Lloveras of your expected arrival time in advance. You can use the Special Requests box when booking, or contact the property directly using the contact details in your confirmation. Rubbish beds, fridge not working, staff behaviour not good. Flat Too much dusty. Water problem and no blankets and bed sheets, no towel no toilet roll. Noisy during for night but it is because of the location. It was super disgusting, not clean and super old. Everything breaks so easy and there is no real equipment at the kitchen, just some old bad stuff. Not recommended for anyone. Would never go again there. Localization was perfect. Security very friendly. There was no problem to add one more person few days before stay. No aircoditioning, plus the app. Was not fully cleaned. Perfect location, in the center. Werry noisy at night. It is in the midle of an area full of pubs, clubs, disco etc. All the tourist are singing all night, because of alcohool. You can sleep only after 4-5 am when all the drunk tourists will go to sleep. No parking places provided, you must to fight for finding a parking place, which will be very expensive. Tha appartment is a llitle bit not well maintained by host but is ok for the money, overall. The gas stove lacks of power. Small apartment Kitchen was poor all we had was a microwave fridge and only one hob working to cook on, i was unable to cook my children a meal which made our stay alot more expensive. The bunk beds for the childen was broken (slats on bottom bunk) so my oldest child slept on the floor on the mattress. We had to wait until 4pm for the apartment despite the fact that we sent an email the day before asking for an early check-in but no one answered. We found the apartment not as clean as a normal apartment should be. The shower was bad and the beds were really uncomfortable. At the end of the stay we had to clean by ourselves the apartment in order to have back the caution of 150€, unacceptable.